Hello guys we are back for the Glo 2.4GB for N500 Valid for 21 Days. Without wasting our time let me show you how you will subscribe for this data plan on Glo Sim. Although many of us know that Glo is the Data Network they give and sell cheap Data to you but the service strike or your internet will be slow, lol. The trick here is going along with two plan on Glo Network which one of the plan is Glo Oga Sim. Few months ago, Glo introduced Oga Sim that works for all new Sims, both 3G and 4G Sim card. 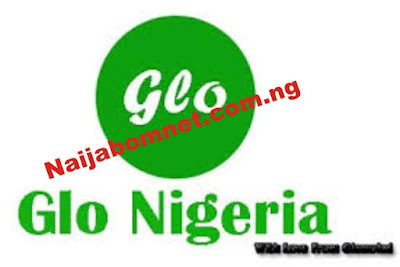 This Oga Sim plan comes as default plan to each Sim, for Old users, you are eligible you have not subscribed for the past 90days, while the new user are eligible for this offer starting from the day they purchase a new Glo Sim Card. The other tariff plan is Glo Yakata which gives you bonus when you recharge. Using the default plan which Is Oga Glo sim gives you 1.8GB for N500 which is Valid for 14days while the new trick am about to launch hee will gives you 2.4GB for N500 for 21days. Without wasting our time her let’s move on how to be eligible for Glo Oga Sim. I know you are smiling now note the trick only work for 21 Days, and also you can rollover the remaining data by subscribing again before the expiring date. Are you confused about this post? Please leave a comment below and don't forget to share this post.